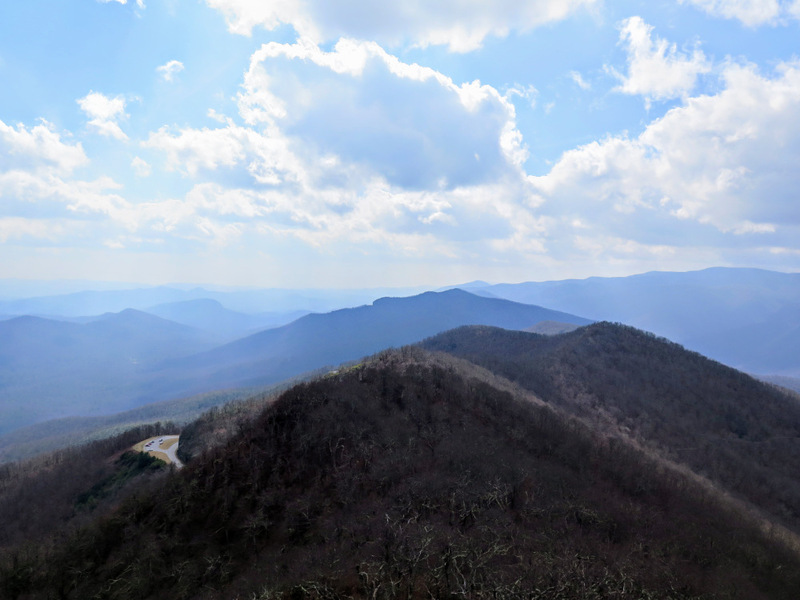 Fryingpan Mountain is home to one of the tallest lookout towers in North Carolina at 70 feet. 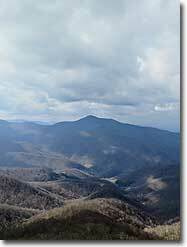 The mountain, at 5,342 feet, is part of the rugged Pisgah Ridge on the eastern front of the Great Balsam Mountains. 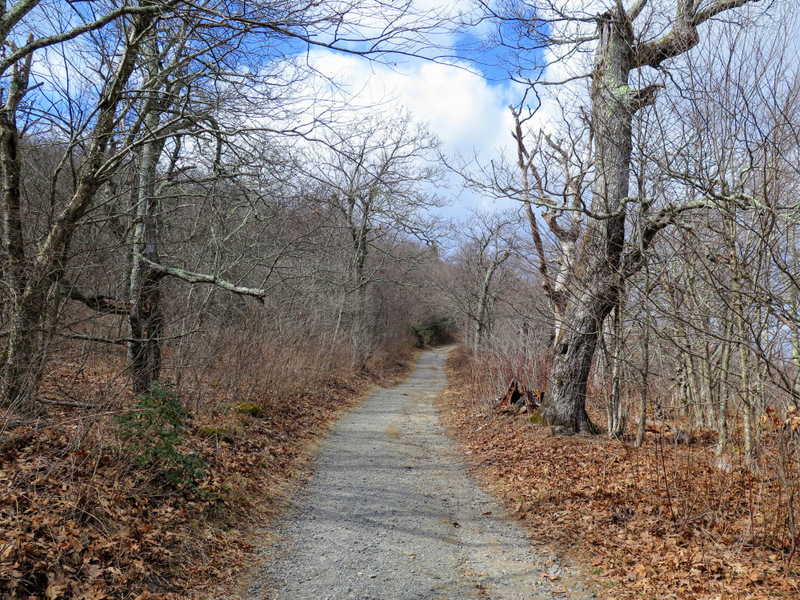 This is a short, accessible hike for all ages from Fryingpan Gap on the Blue Ridge Parkway. 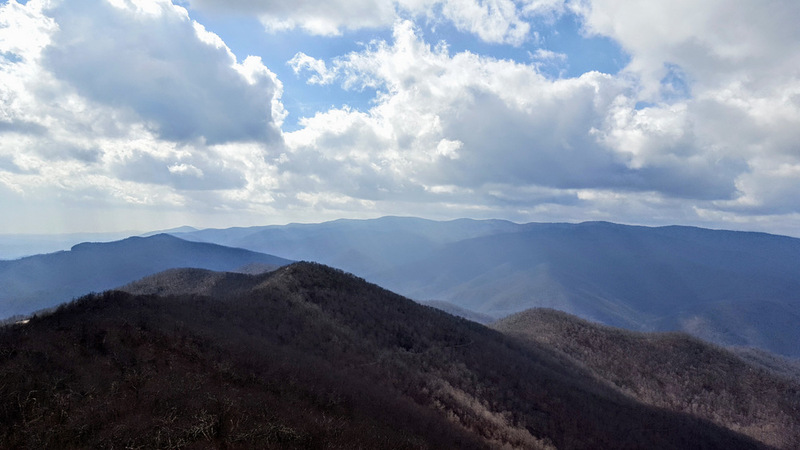 You can also use a combination of trails emanating from Mount Pisgah Campground or Buck Spring Gap Overlook to create a longer day hike. Although the top cab of the tower is closed, you can still climb the steep stairs to get fantastic views in every direction. 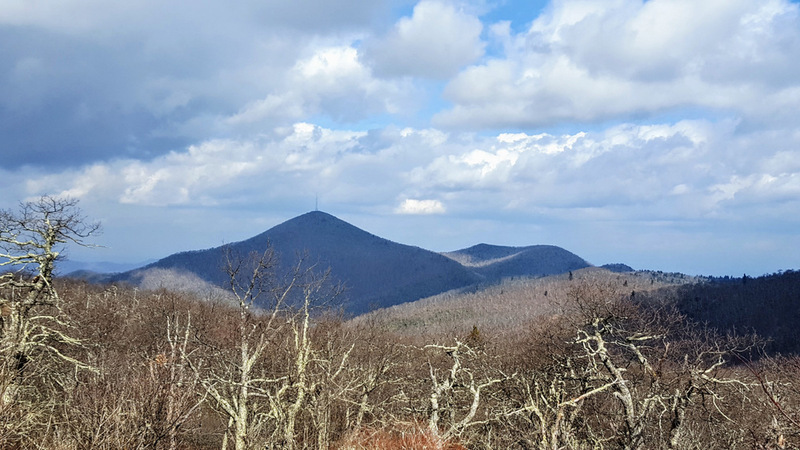 You’ll be blown away by the view of the Shining Rock Wilderness to the west, plus the other directions aren’t too shabby. 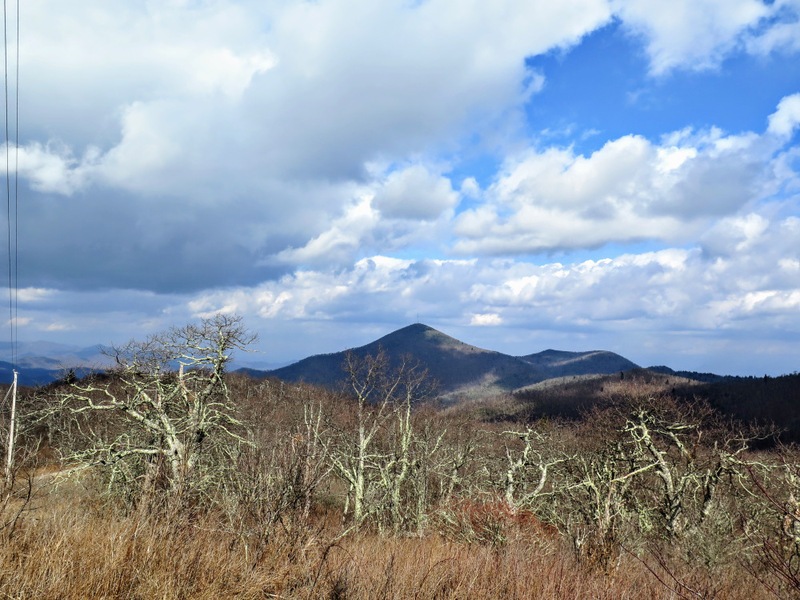 Combined with Mount Pisgah, this short hike is a great way to orient yourself for further exploration of this region. 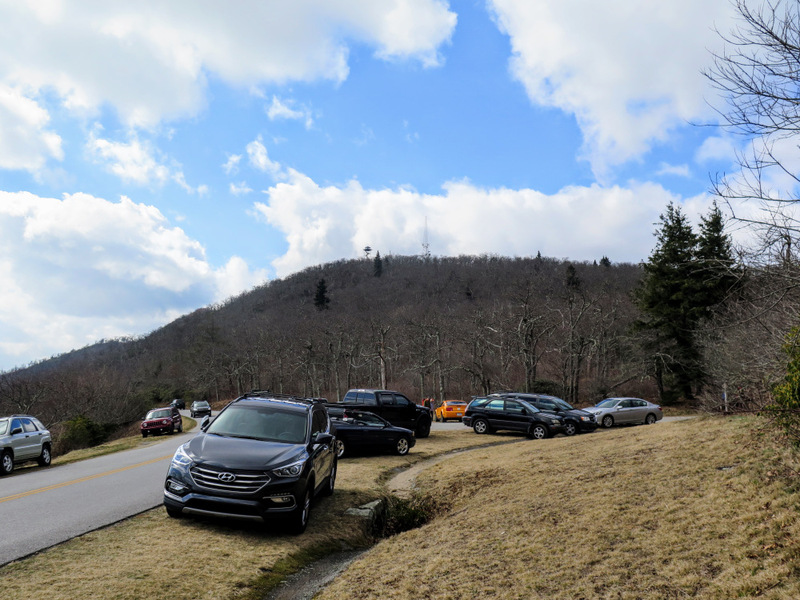 Parking at Fryingpan Gap - Park on the wide, grassy shoulders on the Blue Ridge Parkway around Fryingpan Gap. Do not block the gate. Parking here is limited since there is no parking lot. 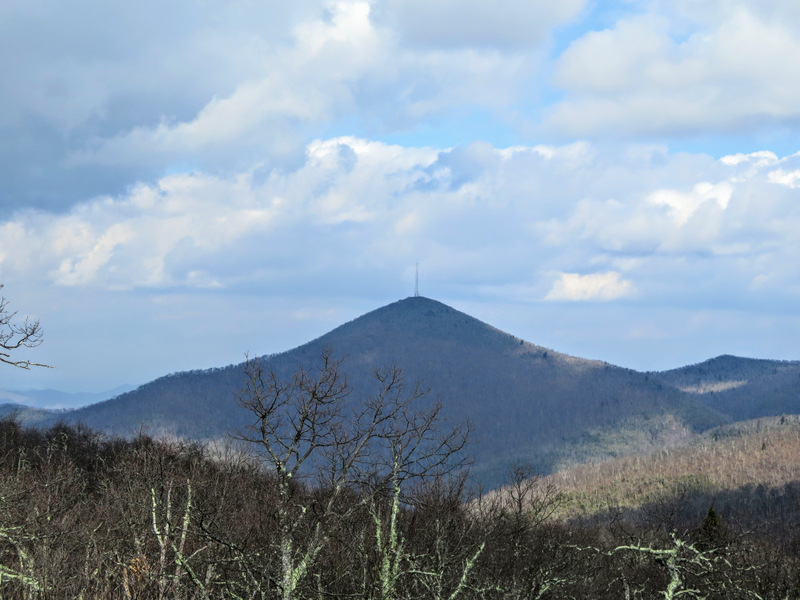 If the area is crowded, then you may need to park at the Mount Pisgah Campground which will be a 4.2-mile round trip. 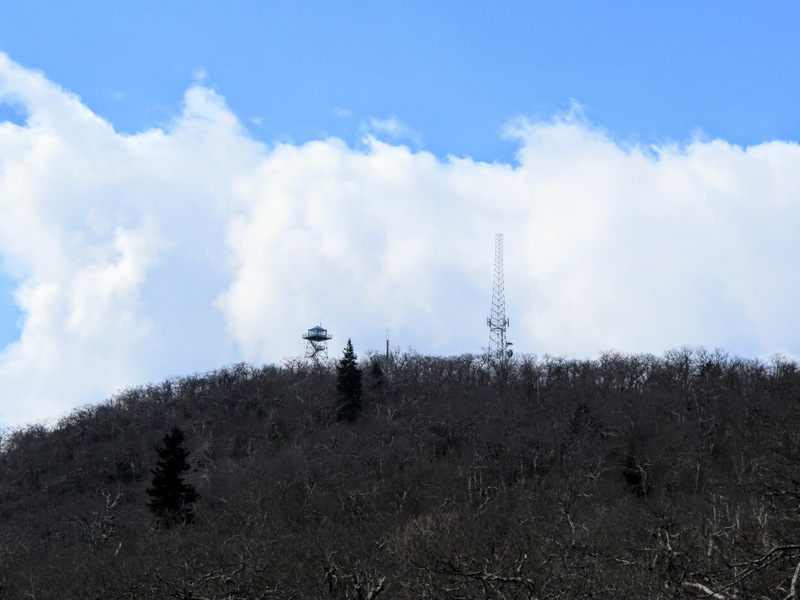 From the gap you’ll clearly see the lookout tower and communications tower overhead. Mile 0.0 – Beginning at Fryingpan Gap walk around the gate and follow FR 450/Fryingpan Trail uphill to the left. 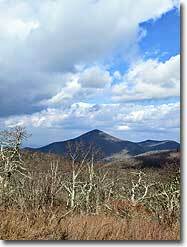 The Fryingpan Trail also continues right heading towards Big Bald and the Mount Pisgah Campground. FR 450 climbs moderately up the mountain and is easy to follow. 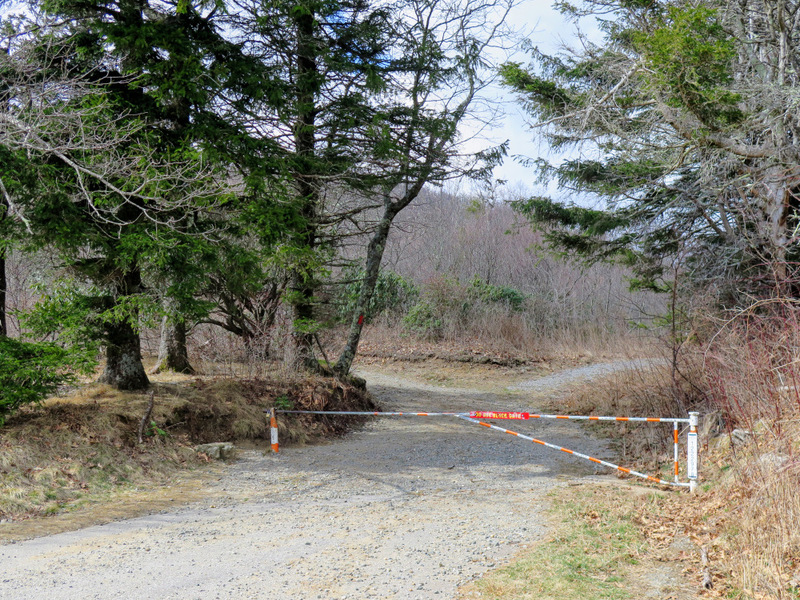 Mile 0.8 – The forest road ends at the summit of Fryingpan Mountain (5,342 feet) between the lookout tower and communications tower. 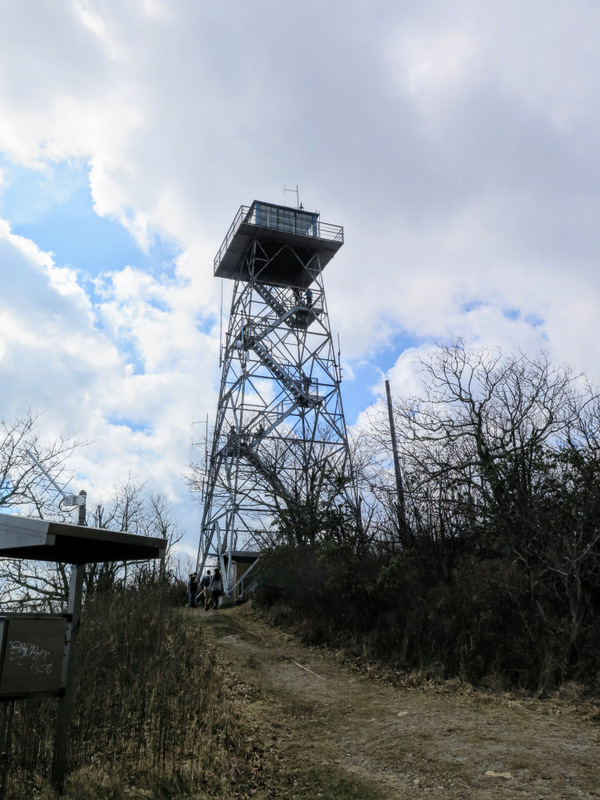 The 70-foot lookout tower was built in 1941 and is one of the tallest in the state. Climb the stairs to get fantastic views in every direction. You may want to secure any loose items before you climb, it can get very windy near the top. From the stairs the view north of Mount Pisgah is partially blocked by the communications tower, but below the summit you have an open view. 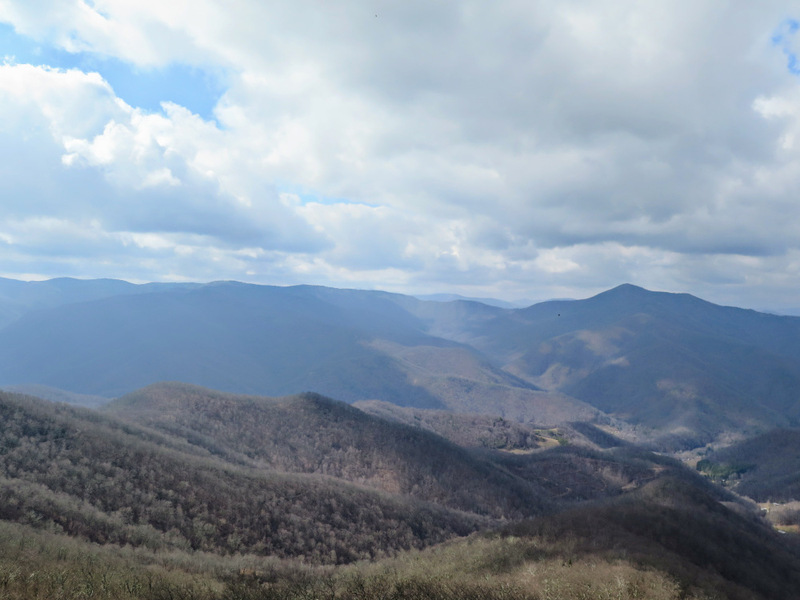 The French Broad River Valley lies to the east with the Hickory Nut Mountains beyond. Towards the northeast you may be able to see the Great Craggy and Black Mountain ranges. 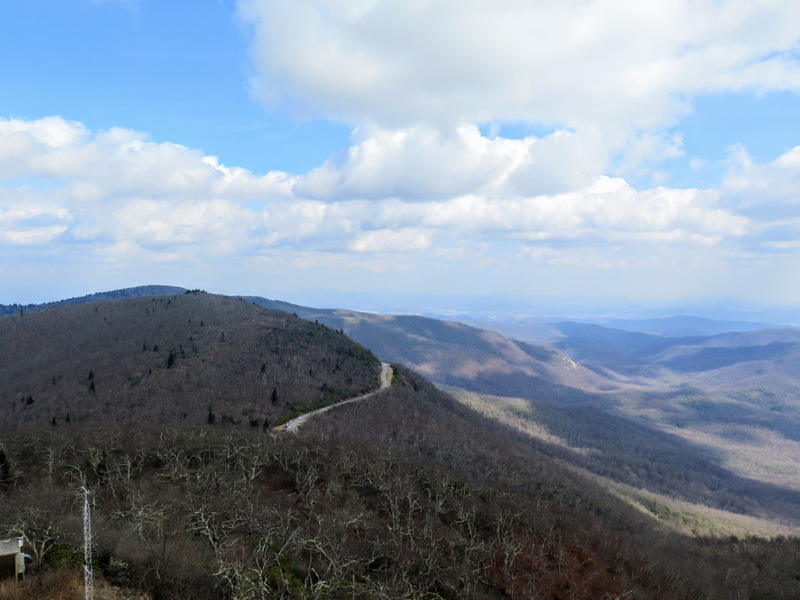 Pisgah Ridge continues south towards Graveyard Fields, with Looking Glass Rock and other plutons visible to the left of the parkway. 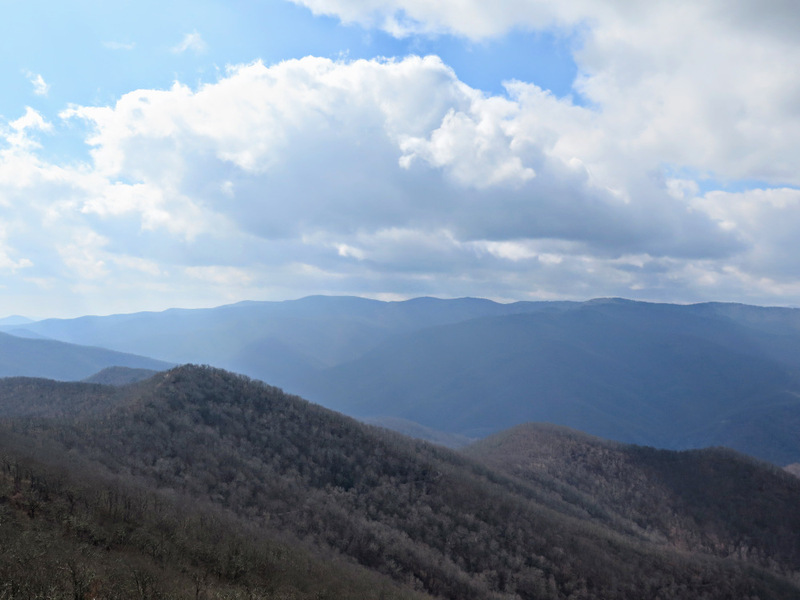 The central crest of the Great Balsam Mountains span the horizon from south to west. 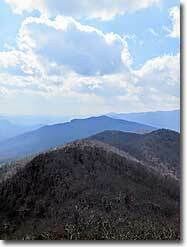 Black Balsam Knob is the tallest peak on the left, while Cold Mountain is the conical peak on the right. 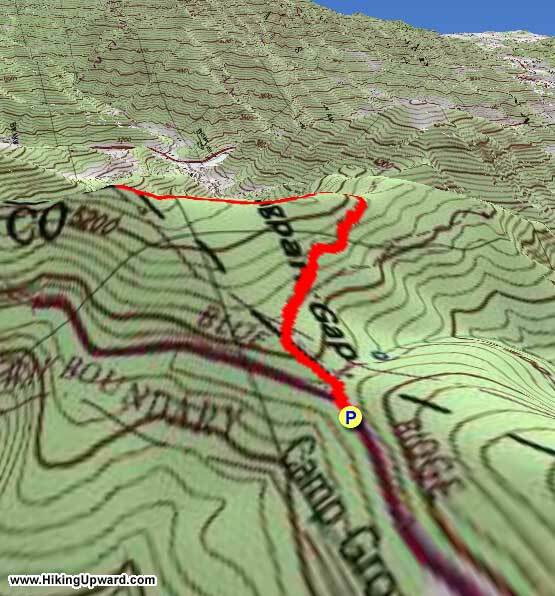 Mile 1.7 – Hike ends back at Fryingpan Gap.